No.3 worldwide. The French pavilion is organized by Business France, the national agency dedicated to the globalization of the French economy, in partnership with Bretagne Commerce International, Cosmed, Dev’up, Cosmetic Valley, Hauts-de-France and Nouvelle Aquitaine, and the sponsorships of Air France and Accor. The French cosmetics industry confirms its leading position on the international market. With a turnover of €25 billion, it is the third largest export sector in France, with a 25% share of the global market and a trade surplus of €7.6 billion. French companies are major players in the cosmetics industry and major beauty brands around the world. Increasingly innovative in R&D, their cutting-edge know-how and their hi-tech care products are recognized for their high reliability and effectiveness. Their innovative potential has grown continuously over the last 15 years. The French cosmetics industry, which includes in particular - ingredients suppliers, fragrances, finished cosmetic products, machines and packaging, research laboratories, private label, is characterized by the existence of an ecosystem that offers a complete range of products, with major international groups such as L'Oréal, LVMH or Chanel, and smaller structures: 81% of establishments are microenterprises and SMEs. The sector has 79,000 establishments in France employing over 170,000 people, and 2 regional competitiveness clusters. 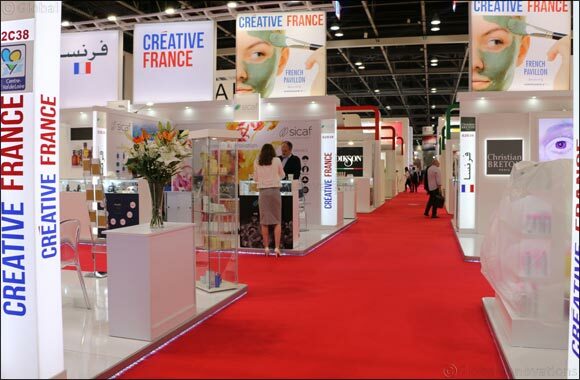 Within the France pavilion do not miss the FRENCH BUZZ zone, a showcase of quality and innovation, which will host 9 French 'nuggets' that reflect the great vitality of the sector around Cosmed, the 1st network representing SMEs in the French cosmetics sector.